Every month, 61 million Americans collect some sort of Social Security benefit. So the process to file for and receive benefits must run like a well-oiled machine, right? Not necessarily. While the majority of Social Security beneficiaries enjoy a relatively simple and painless process when they apply for benefits, not everyone is quite so lucky. For some beneficiaries, the path to receiving monthly benefits may be littered with unexpected hurdles, pitfalls, and snags. Here's what you need to know about the potential hiccups you might encounter when applying for your Social Security benefits, and how you can avoid them. Proof of U.S. citizenship or lawful alien status if you were not born in the United States. Your military discharge papers, if you served. A copy of either your W-2 forms or your self-employment tax return for the previous year. For most beneficiaries, gathering these documents is simply a matter of gathering papers from a file cabinet or safe. Not having all the necessary paperwork is a relatively common problem facing beneficiaries, and it is something that the staffers at your local Social Security office are used to dealing with. If you are simply missing the necessary paperwork, Social Security can help you to obtain any information you might be having trouble finding. If you have a more complex problem like my stepfather's, Social Security may also be able to let you know what legal steps you must take — although it's always wise to get a second opinion on such matters. 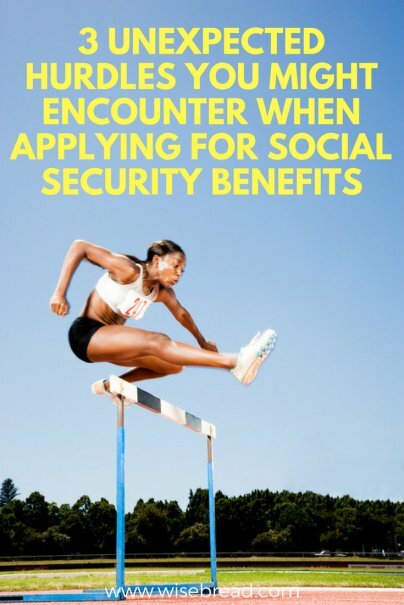 In either case, it is ultimately better to get the ball rolling on time for your Social Security benefits application and enlist the help of the Social Security Administration in getting your paperwork in order. Most of the millions of beneficiaries who are processed through the Social Security Administration fit into one of several standard claiming situations. For these beneficiaries, the basic information available through both the SSA website and via staffers at the local office will provide the road map necessary to get signed up for benefits. However, there are any number of less-than-standard situations that a beneficiary may find herself in, and that's when things can get tricky. For instance, something as simple as applying for Medicare benefits after age 65 could stymie your local Social Security office. Beneficiaries who have health care benefits through another source are not required to sign up for Medicare upon reaching age 65. However, the majority of beneficiaries must sign up for Medicare at age 65 or face a fine, and since the rule covering this so-called special enrollment period is not necessarily well-known by the staffers whose job it is to get you enrolled, a beneficiary in this situation may find herself arguing again and again that she is not subject to the fine. The hardworking folks at your local Social Security office want to help and they have a great deal of expertise — but it is not their primary responsibility to make sure you understand your options. Ultimately, it is up to the beneficiaries themselves to understand the specific rules governing their claiming situations. That's not to say that you are entirely on your own. Start by asking questions at your local office, and use that as the jumping off point to research the particular rules for your situation. Remember that the staffers at the local office will be experts on Social Security as a whole, while you may need to become an expert on your specific claiming strategy. Once you have determined what rules govern your situation, be persistent in asking that those rules are followed. Bring a copy of the rule with you when you meet with a Social Security staffer, and be prepared to keep presenting it as you go up the chain of command if you're not satisfied. Since you know that you'll have some sort of unusual claiming situation, you take the bull by the horns and research your options. You do some preliminary digging on SSA.gov and call your local office to double check what you've found. Based on the information you were able to read online and the assurance of the staffer at the office, you feel confident that everything is copacetic. Social Security expert Larry Kotlikoff is no stranger to some truly terrifying Social Security mistakes, and after years of helping beneficiaries navigate the program, he advises everyone to record their conversations with Social Security. While actually recording your conversations may or may not be feasible, it is paramount that you take notes of your conversations so that you have a record of the information you receive. In particular, you will want to note the date and time of the conversation, the name of the staffer you speak to, the specific aspect of Social Security law that governs your situation, the next steps advised by the staffer, and what potential fines, fees, or problems may arise from either taking or not taking those steps. Keeping this kind of record will not only help you better understand your situation, but also provide you with proof that you were advised a specific course of action if another staffer gives you conflicting advice later on.